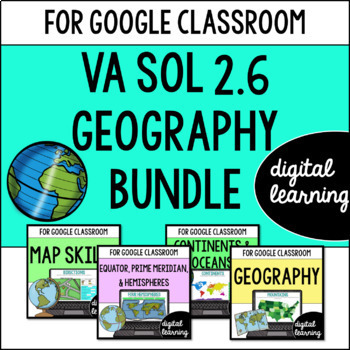 This bundle includes all the activities that you need to teach about map skills, the equator, prime meridian, hemispheres, continents, oceans, the Mississippi River, the James River, the Rio Grande River, the Great Lakes, the Appalachian Mountains, and the Rocky Mountains. These digital resources are 100% online and can be used on both Google Classroom and Google Drive. These Google Slides resources also include an answer key. 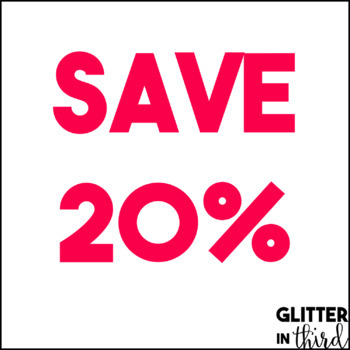 This bundle saves you 20%, compared to buying each product separately. You will receive each of the following resources. To see specifics on each resource and what each one includes, click on each link below! 2.6C: major rivers, mountain ranges, lakes, and other physical features in the United States. You will download the PDF, which contains a link to the Google Slides resource, as well as a teacher guide and answer key. Check out my blog post for answers to common Google Classroom questions. 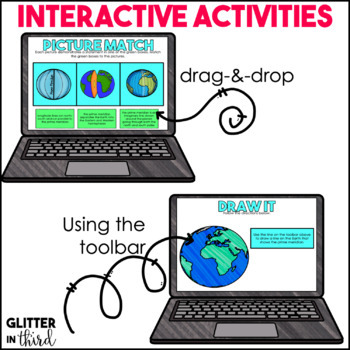 This resource works great with laptops, iPads, and Chromebooks. These paperless resources can be used independently, with partners, in small groups, and even whole groups! Don't worry, you do not need technology for every student in order to use this product! 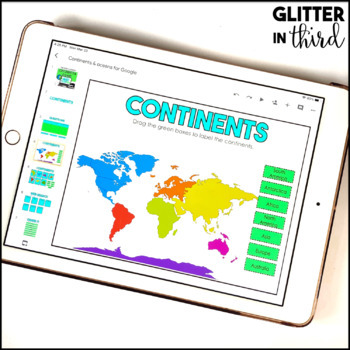 Interested in more social studies products for Google Classroom from Glitter in Third? Please email me with any questions at Glitterinthird@gmail.com if you need more information!